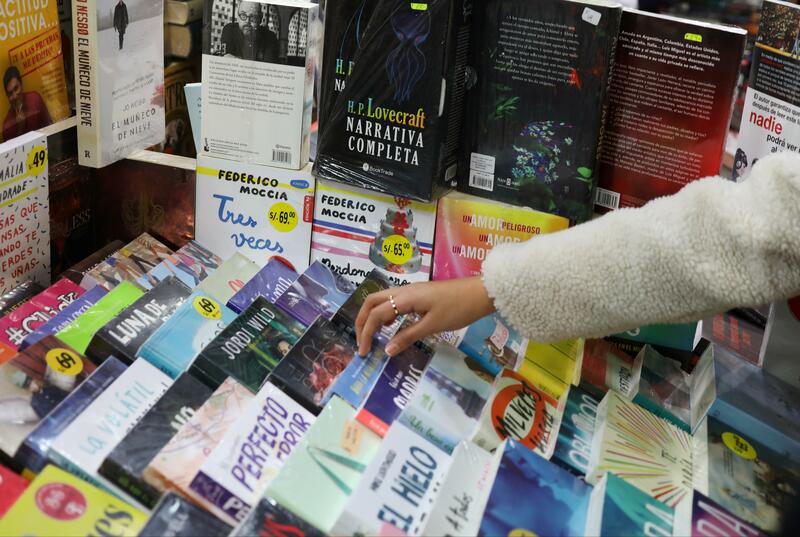 National Book Lovers Day, a day for all those who love to read, is celebrated on Aug. 9 every year with an intention to encourage bibliophiles to find a good book and a suitable reading place. The best way to observe this day is to sit back, read and enjoy as well as share the joy of reading with others. Here are 15 quotes about books and reading from Good Reads, E Book Friendly and Bookish. 1. "Our favorite book is always the book that speaks most directly to us at a particular stage in our lives. And our lives change. We have other favorites that give us what we most need at that particular time. But we never lose the old favorites. They’re always with us. We just sort of accumulate them,” — Lloyd Alexander, author. 2. “There are many little ways to enlarge your child’s world. Love of books is the best of all,” — Jacqueline Kennedy Onassis, Former First Lady of U.S.
3. “Any book that helps a child to form a habit of reading, to make reading one of his deep and continuing needs, is good for him,” — Maya Angelou, poet. 4. “If you only read the books that everyone else is reading, you can only think what everyone else is thinking,” — Haruki Murakami, Japanese writer. 5. “A book is the only place in which you can examine a fragile thought without breaking it,” — Edward P. Morgan, journalist. 6. “Sometimes, you read a book and it fills you with this weird evangelical zeal, and you become convinced that the shattered world will never be put back together unless and until all living humans read the book,” — John Green, author. 7. “I love books. I adore everything about them. I love the feel of the pages on my fingertips. They are light enough to carry, yet so heavy with worlds and ideas. I love the sound of the pages flicking against my fingers. Print against fingerprints. Books make people quiet, yet they are so loud,” — Nnedi Okorafor, writer. 8. “The more that you read, the more things you will know. The more that you learn, the more places you’ll go,” — Dr. Seuss, author. 9. "Books say: She did this because. Life says: She did this. Books are where things are explained to you; life is where things aren't. I'm not surprised some people prefer books," — Julian Barnes, writer. 10. “I declare after all there is no enjoyment like reading! How much sooner one tires of anything than of a book! — When I have a house of my own, I shall be miserable if I have not an excellent library,” — Jane Austen, author. 11. "I don't believe in the kind of magic in my books. But I do believe something very magical can happen when you read a good book," — J.K. Rowling, author. 12. "A mind needs books as a sword needs a whetstone if it is to keep its edge," — George R.R. Martin, novelist. 13. "Books are a uniquely portable magic," — Stephen King, author. 14. “It is a good rule after reading a new book, never to allow yourself another new one till you have read an old one in between,” — C.S. Lewis, novelist. 15. “A book, too, can be a star, a living fire to lighten the darkness, leading out into the expanding universe,” — Madeleine L’Engle, writer.